Isn’t he cute!? Here’s how to make him! 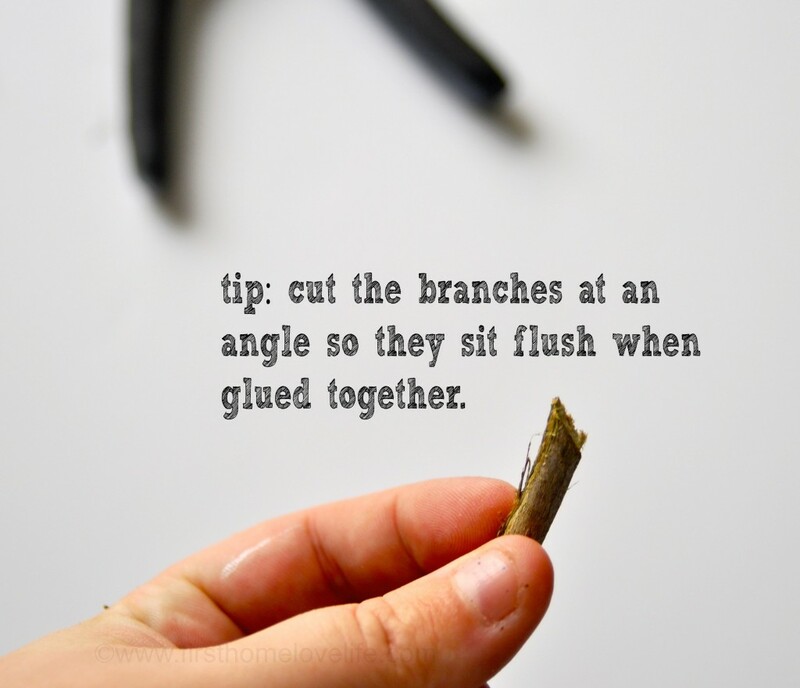 Go outside and give one of your trees a snip. 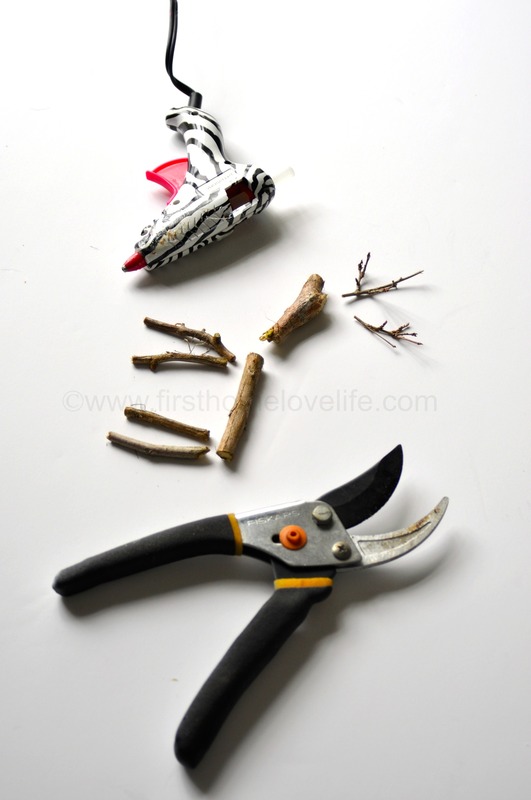 I trimmed about a 2 ft branch off of my crape myrtle and could easily make 4-5 reindeer with that. 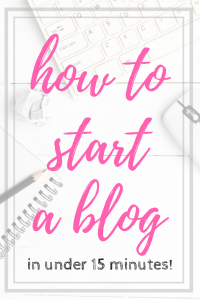 You’re going to need a straight piece for the body, a knotted piece for the head and nose, 4 skinny legs, and two twiggy pieces for the antlers. 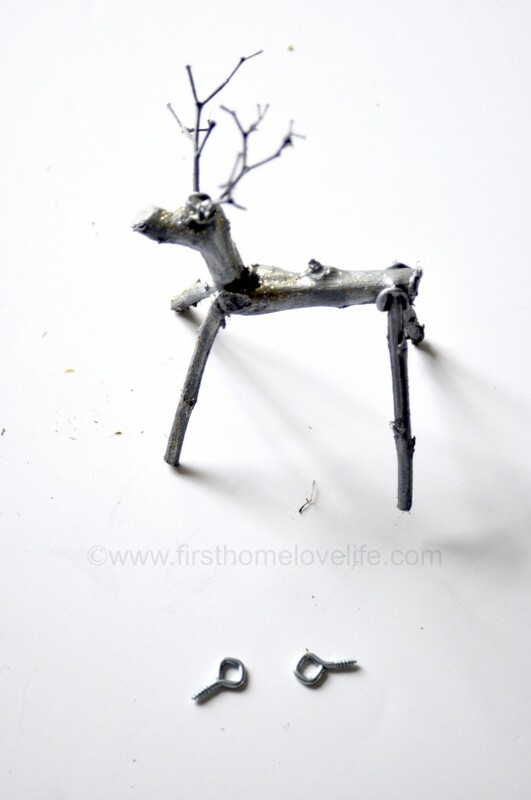 Once you have all of the components of the reindeer, its time to glue it together! Cutting the tops of the legs at an angle will give the reindeer a more “finished” look and not like you just glued a bunch of sticks together Speaking of glue. 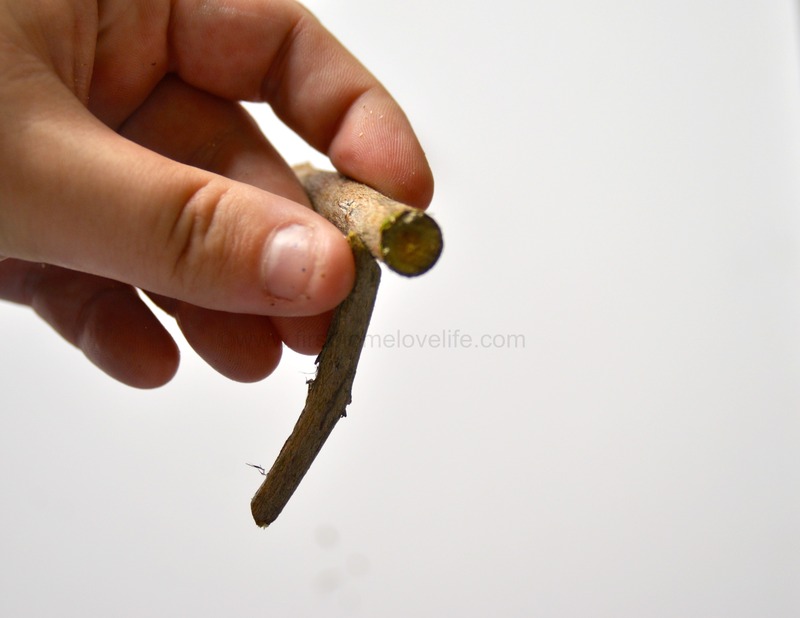 Hot glue is the way to go with this little project! I initially started with E6000, but it was taking too long to dry. Put a drop of glue down, and piece the deer together. I held each piece in place for 10-15 seconds while gently blowing on the glue to make sure it was secure before moving on to the next piece. Once your deer is fully assembled you can leave it au-natural or paint him. I wanted to glam Rudolph up a bit so I spray painted him in silver and sprinkled a bit of ultra fine gold glitter on him. Okay so now for the tricky part of turning him into an ornament. In hindsight, this step should have been done before I began assembling the reindeer. It would have made life a whole lot easier and kept the cursing to a minimum. Basically, you just twist the teeny eye hooks into the back of the body and it holds itself in place. 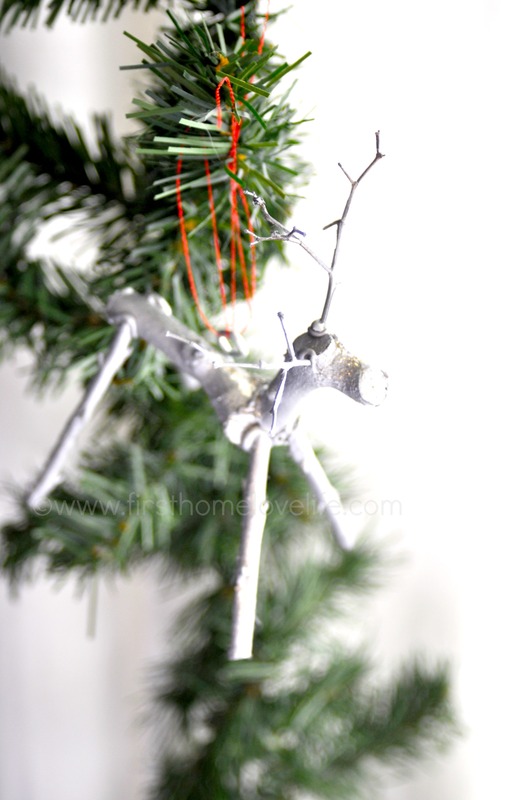 Then you can use ribbon, string, fishing line…etc…to tie it to your tree. Ands that’s it! 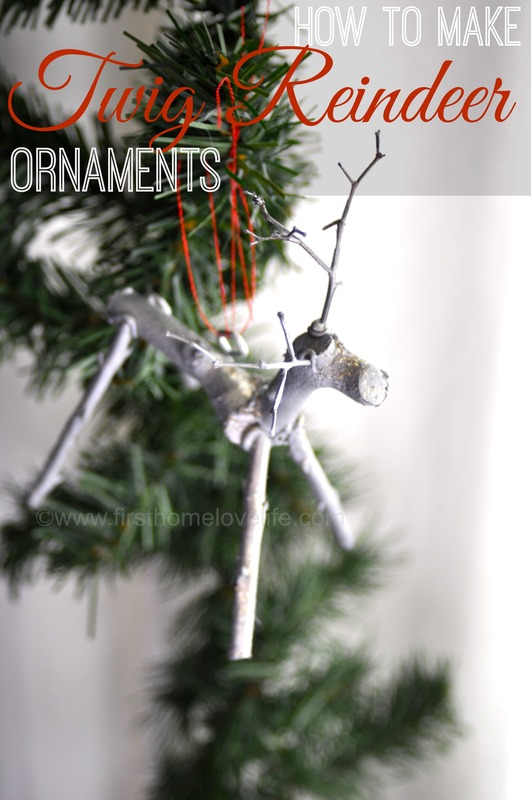 For the whopping grand total of $0 and an hour of my time I was able to make this adorable little reindeer (and a few other things) out of a tree branch and a glue gun! I hope you enjoyed this sweet holiday craft! I could see this ornament hanging anywhere from a tree to a gift in place of a tag, and I just know everyone will love it! I hope you’ll stop by to see me at my place sometime. 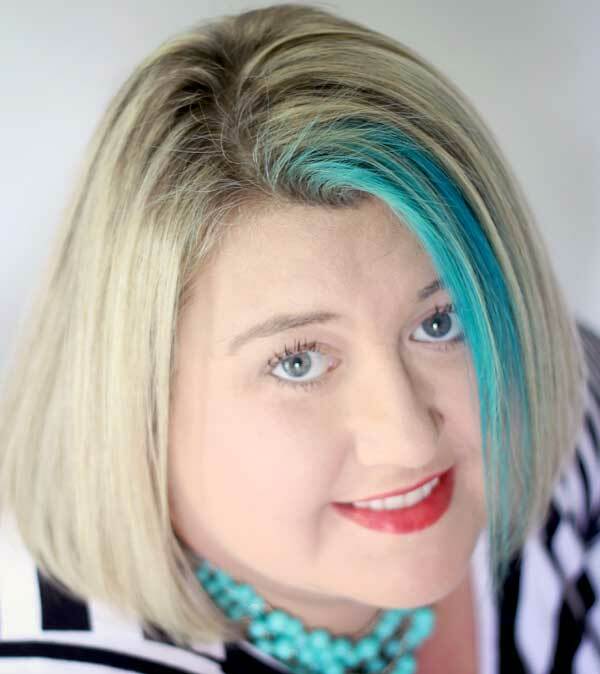 You can also find me on Facebook, Instagram and Pinterest the most! 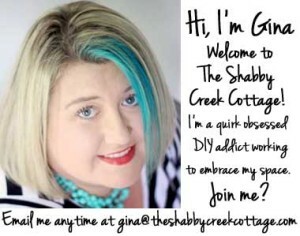 Thanks so much for inviting me to hang out at your cottage, Gina. It’s been a blast! Talk to you soon friends, take care. 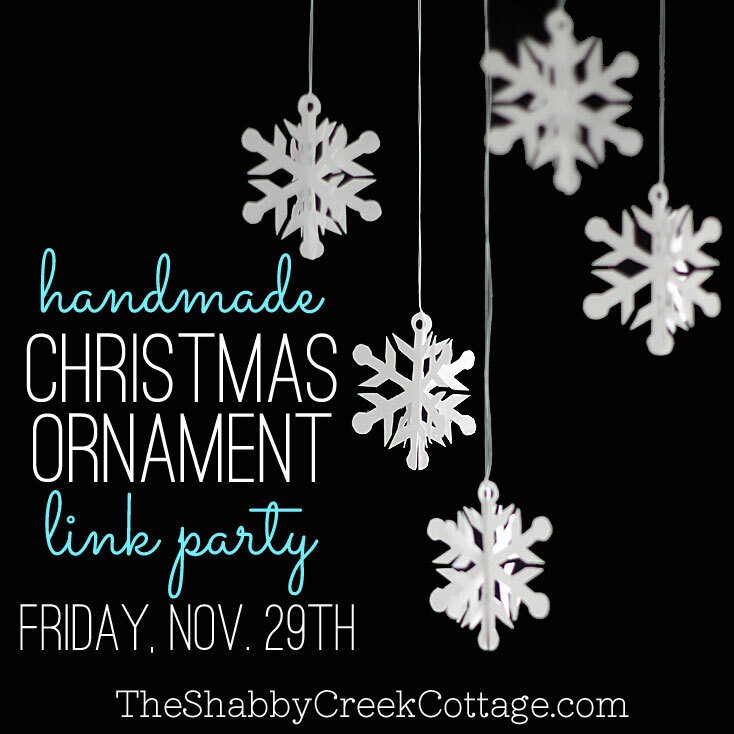 All week this week I’ll be sharing some great ideas from a few of my friends – with a link party on Friday, Nov 29th to share YOUR handmade Christmas ornament ideas. Hope you’ll join me! Gina! I love these little reindeer soooo much! 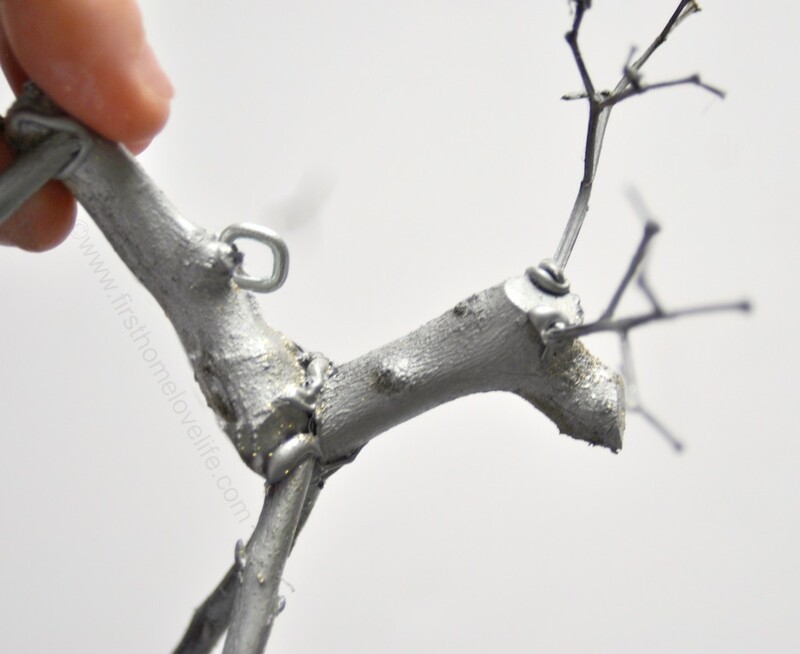 I love that you spray painted them silver too… all the better! I’m making these today! Thanks for the inspiration one of my favorite projects of the year! These are so cute Gina- I love them. Pinning! This is adorable! I want to make a bunch for my tree!